A leading double glazing window, door, conservatory and roofline specialist, our family run company have been successfully serving Coventry and Warwickshire for over ten years. Offering a comprehensive range of double glazing services in UPVC windows and doors, manufactured on-site in our own factory using top quality Liniar profiles, along with modern composite and UPVC doors, conservatories, fascias, soffits and guttering – there is no job too big or small for us! Unlike wooden framing, we understand the huge benefits of UPVC replacement double glazed windows and doors in terms of low maintenance and high durability, not to mention their high thermal efficiency. 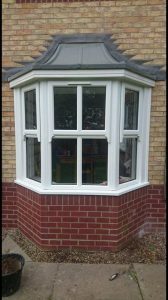 Additionally, our modern UPVC frames have a smooth, consistent and reliable operation, allowing for ease of enduring use. MF Plastics pride themselves on exceptionally high levels of customer service too; our double glazing services begin from the moment you make contact with our friendly, efficient and courteous office team, extending through the duration of your works by our teams of expert fitters, to our responsive after care service, should you need to call us. Our reputation for excellence is paramount! With our strong ethos to provide superb quality at affordable, competitive prices, we always endeavour to go the extra mile in achieving customer satisfaction. Give us a call and see how we can help. Almost No Maintenance… While wooden window products may need repairing and painting every two or three years, our u-PVC replacement double glazed windows do not fade or flake. FIRST IMPRESSIONS COUNT… Whatever style or look you want to achieve with your home, we will go through the range of options available; whether it be GRP or U-PVC, we have a superb collection of styles and colours to choose from, together with our six point shoot bolt mechanism – for extra security – fitted as standard. 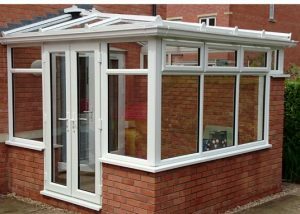 A bright, modern conservatory will undoubtedly enhance your home-living options: for dining, entertaining, work or play, we have a selection of sleek and contemporary, to classic and traditional, suiting both your pocket and your predilection! 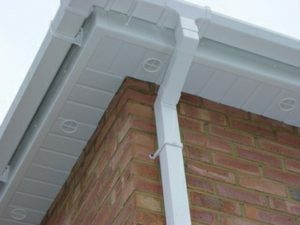 Our maintenance free, UPVC fascias, soffits, guttering (Roofline) and cladding products will prove durable and robust against the elements, both resisting the strong sun and enduring the harshness of winter. 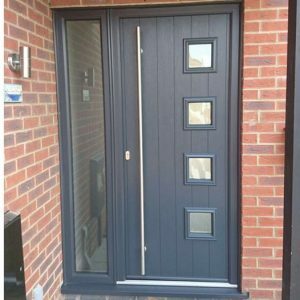 Whatever design style, or decorative option you might desire, MF Plastics can create your bespoke order of double glazed windows, doors, bi-folds, patios…our range of choice is sure to delight and impress the most discerning customer. So extending the invite to all the Coventry and Warwickshire homes: give us a call to see how we can help. Replacement of sealed unit in conservatory. Re-fix final auto ridge. Replacement panels in conservatory roof. Fitting a new storm porch. New roof-line and canopy porch. New Rockdoor and side panel supplied and installed. New French doors and replacement windows. Replacement of 4 x windows. Windows ,doors and conservatory roof fitted. All windows and doors replaced, conservatory and porch built. Replacement of windows and door and installation of French doors. Fitted French doors to replace existing kitchen door. New Windows and Doors fitted to Bungalow. Replace internal glass with safety glass in doors. Window taken out and French doors fitted. New windows back and front of house and roof over bay window. 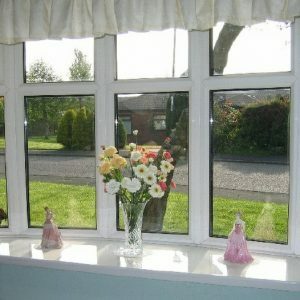 Replacement single double glazed window. Replacement of doors, windows, fascia boards, renew gable end, chimney flushing. Remove and replace fascias, gutters, soffit, put up new dry verges. Replacement patio door and windows.